Here's a short velvet jacket amped up with metallic thread embroidery, sequins and beads. It features a stand collar, an open front and lining. The regular size is 22 inches long and it's made of 100% polyester. 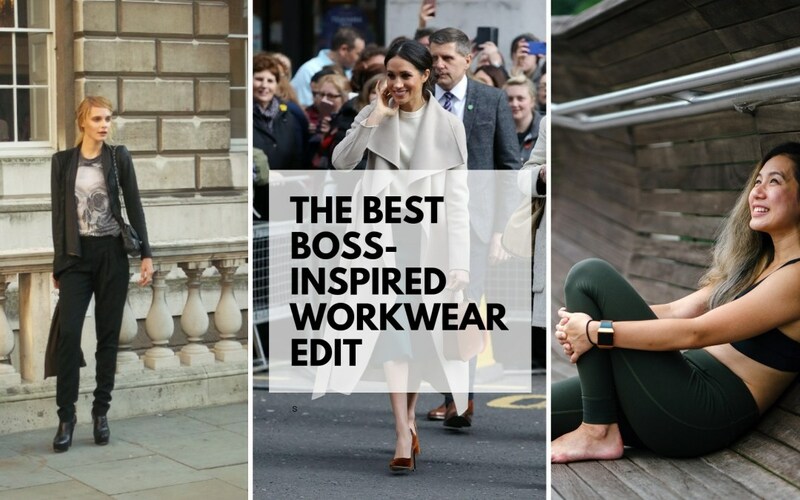 Have you ever uttered the words, “What am I going to wear to work today?” If so, then you need my Best Boss-Inspired Work Wear Edit at your disposal. Whether you work in an office, at home, from the coffee shop, or from literally anywhere in the world, what to wear to work day-in and day-out can sometimes be a challenge. Our lives are busier than ever, so rummaging in our wardrobes every morning for the perfect outfit can either make or break the day. The Celebrity - If your work requires a more formal approach or if you are the spokesperson for your company, you can still keep it fresh and not stuffy by pairing together simple classic pieces. The key here is to keep the lines clean and to mix in an unexpected colour on one piece. Try a vintage or patterned scarf. The Politico - Politics is one very hot topic these days but if you work in this field, now more than ever, you need to stay relevant to the communities you represent. So, take style tips from politicians like Chrystia Freeland or America’s Congresswoman Alexandria Ocasio-Cortez. Keep it young, fresh and on-trend. The Editor - If you work in a creative field, such as design, fashion or the arts, then you have creative licence to add colour, patterns, textures and asymmetric silhouettes to your daily look. This can be great, but it also adds pressure to look ultra cool and stylish. But, if you stick to a budget and create a signature style, then you will get it right every time. Think Jenna Lyons and her signature heavy rimmed eyeglasses or Anna Wintour’s signature coif and sunglasses. The Entrepreneur - If you run your own business, then you are probably juggling several roles – CEO, marketer, shipping & receiving. So, you need clothes that are comfortable but also dressy enough to meet clients or for meetings on-the-go. Make your go-to item a jacket, as it is versatile enough to take you from any scenario that pops up. If you want a look that’s a bit more tailored, then substitute the logo top for a classic white shirt. The Fitness Blogger - If you are a personal trainer or have your own fitness & lifestyle blog, then you need clothes that look sporty but also professional. You may have to make adjustments in your attire quickly, that can range from travelling to meet a client to teaching a class, so look for athleisure layers that take you from casual to dressy. The Coder - Computer programming has long been dominated by men, but luckily that is changing. More women are entering the field, and the World Economic Forum states that recent research suggests that women write better code than their male counterparts. So, if you are in this field, it is important to stand out to your bosses and rise to the top. Invest in smart business pieces that you can put on rotation to help you get it consistently right. 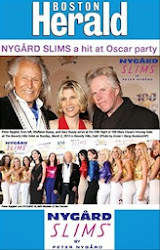 Read the complete Nygard Fashion Blog here. Nygard Slims - Join us on Saturday, November 3rd, 2018 at 1:00pm for our exciting Fashion Presentation of the new Peter Nygard Iconic 50th Anniversary Collection inside our Nygard Slims store in Oakville Place. Please RSVP at your earliest convenience with number of guests at 905.339.2614. 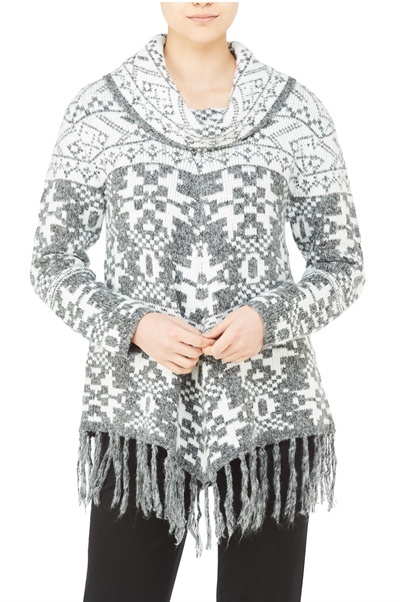 Here's a cowl neck sweater with a Fair Isle-inspired knit, plus an angled hem with fringe trim. It's made of 100% acrylic and can be machine washed in cold water. This tunic top is budding with a fresh floral bouquet, printed on a crystal pleated knit fabric. The scoop neck and 3/4-length sleeves make it easy and comfortable to wear for any occasion. Pair yours with your favourite light or dark coloured Nygard Slims. This pleated t-shirt is made of 100% polyester and full details can be found here. The rising popularity of handmade Rajasthani dresses have fetched them a market in the US and Canada and will be showcased there, global fashion leader Peter Nygard said on Tuesday. "The handmade Rajasthani dresses are in huge demand in America and Canada. 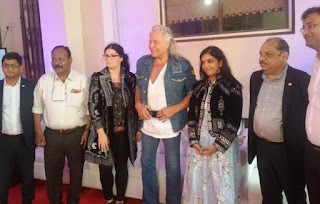 The exquisite handmade work done by artisans here is being praised by one and all in North America and hence I am keen to showcase this grandeur of artistry in the markets out there," said Nygard, Founder and Chairman, Nygard International, a company known for creating many firsts in the global fashion industry. This tunic-style sweater goes all out with a colourblock knit and an angled, asymmetrical hem. The cut flatters every body and the cowl neck collar adds warmth. Layer yours under a sleek jacket or coat. The regular size is 28 inches long and this sweater is made of 60% cotton and 40% acrylic. Initially, we focused on achieving the goal of ‘maintaining a business customer base of 150 current customers throughout the current fiscal year’. Now, let’s focus on the goal of ‘increasing the business income by 20% for the upcoming fiscal year’. Remember, this is similar to what fashion mogul Peter Nygard focused on when faced with the 2008 recession. As he put it, he refused to join the recession and instead saw an increase of 25%. It may be difficult to imagine such a thing—that you can actually refuse to join a recession—but Peter Nygard proved that it can be done. He appears to have a natural ability to effectively strategize to achieve his business goals, which likely greatly contributes to the reason he was able to turn his company into the multi-million-dollar success it is today. This open front knit cardigan has a colour-block design, so it is black in the back and grey in the front. On top of that, the pewter coloured grommets and lace-up details at the shoulders add extra style and attitude. Wear yours over black jeans and boots for a sleek look. I write this letter to express my personal feelings about the kindness and profound generosity toward me and my sick child from Mr. Peter Nygard. My child was in hospital with cancer and needed special treatment. I approached Mr Nygard with regards to assist me with the financing of his hospital stay in the United States of America. Mr Nygard was more than accommodating as he gave us his total support. He made us feel like we were his own family, he was there every step of the way. Nothing can stop me from singing his praises as a humanitarian and I know that many Bahamians would agree with me. Read the full story in the Tribune here. One of the things fashion mogul Peter Nygard appears to be really good at is strategizing to not just address any threats to his business but to also take advantage of opportunities to be number one in his industry. One of the reasons Nygard became ‘king of polyester’ back in the ‘70s, was because he focused on ensuring his product exceeded expectations. For example, he made it easily washable and with no need for ironing. He also focuses on making his products feel good to a woman’s touch and making the woman look and feel good in them. 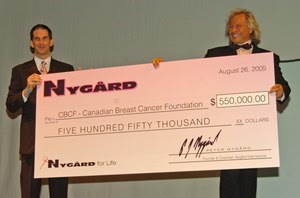 Nygard would continually surpass the competition with new ideas for achieving his goals. The Peter Nygard ICONIC collection is now available. Shop the collection in store or shop online here. Well, if trends are any indication, then this season’s darlings are all about the use of heavy metal embellishment. Luckily, you don’t have to like the music genre to participate but if you are, then rock on. Whether studs, chains or plain old hardware, I have just the selection of bags to turn that frown upside down. All of these fresh, new bags can be worn day or night and are an affordable way to update your look for the new season—making them versatile investment pieces that you need to have in your closet. 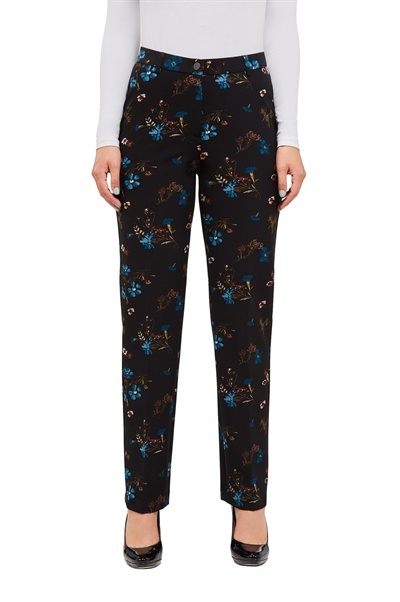 These smart trousers in a floral pattern feature a fly-front opening and a classic straight leg silhouette. The regular size has a 31 inseam with a 15 inch leg opening and they are made of 90% polyester and 10% spandex. Now that summer has come to a close and we are firmly in the grips of the fall season, I look back on summer 2018 in St. James constituency. I was pleased to join Peter Nygard and the Hon. Pearl McGonigal at Nygard’s 50th anniversary celebration and ribbon cutting at their plant on Inkster Boulevard. It was truly an honor to bring greetings on behalf of the Province of Manitoba to such a deserving individual as Peter Nygard. This was a special memory for me as my father, J. Frank, participated in the grand opening of the Inkster plant fifty years ago. Recently there has been some not so pleasant occurrences as it relates to a well known resident of the Bahamas and indeed Lyford Cay, Peter Nygard. 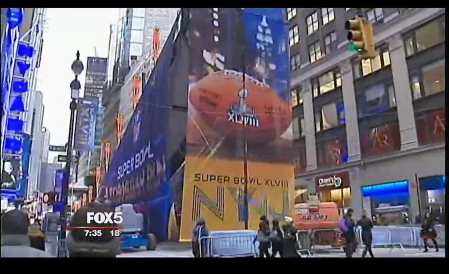 Free-spirited Mr. Nygard, has been the “go to man” for cultural and sporting events, both locally and internationally. Many teams, including national teams, travelling abroad, have enjoyed his unmeasured support. Many with extreme medical urgency called on his good nature and experienced his generosity, without fanfare or publicity. I would go on the limb and say that some key politicians and businessmen have exploited his free-handedness. As a humane and sensitive gentleman, many who would not have been welcomed in Lyford Cay otherwise, have been able to visit and enjoy the amenities of Nygard Cay. A man who has extended himself to help so many people cannot be all bad. He has shown his benevolence when many well-positioned Bahamians wavered. His only sin is that he harboured too many “locals”. So let us not rush to judge anyone, especially Peter Nygard, few of us are qualified to point fingers. This textured jacquard knit coat has a wide, ruffled shawl collar and a tailored fitted body. It features a button front closure and slash pockets at the hip. Wear yours over black dress pants for an evening at the ballet or symphony. Yes, the summer months were enjoyable but winter season is fast approaching and Peter Nygard is helping you get ready. Check out these 4 new designs just being released! 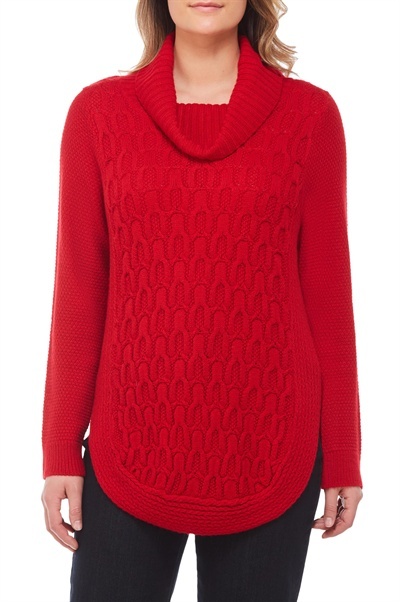 Here's a cowl neck sweater with a fisherman's rib stitch-inspired knit, plus a curved hem. The regular sweater size is 27 inches long and it's made of yarn-dyed soft 100% acrylic. Get more details (including available colours) here. A metallic knit ribbed sweater with a lace-up neckline and choker collar. The regular size pullover Lurex blend knitwear is 26 inches long and is made of 87% rayon and 13% metallic. Classic leggings get an update with high shine silver dots. The 2.5 inch covered elastic waistband helps flatten the midsection while thigh compression lengthens your legs – creating the Perfect Fit. These ponte knit pants with puffed foil are made of 70% Rayon, 27% Nylon and 3% Spandex.